Taylor Swift may be synonymous with sugary pop music, but in the business world she’s known for her other talent: customer retention. As I write this, Swift has just kicked off her 1989 world tour, which is set to include over 75 dates across three continents. This tour signifies the first time Swift is set to make over $100 million in annual earnings, a rare feat for a pop solo act. In the last three years, only Madonna has been able to reach that benchmark -- until now. Even for the most diehard of "Swifties," this eye-popping sum is impressive news. Though the pop starlet has always been canny about building her brand, the newest album at the heart of this record-breaking tour, 1989, represented a serious business risk. There was a concrete reason for that risk: As Swift planned, first her album, then her tour, she had to deal with the reality that most of her following were fans of her country music roots. Though her music had always had a pop feel, 1989 marked her “official” transition into pure pop. Swift had to tread carefully to cross genres without losing her original audience; complicating the issue was the fact that she hadn’t released new music for over a year. If that dilemma sounds strangely familiar, it should. Ecommerce companies face similar issues daily, whether those issues might be winning back about-to-churn customers after a period of inactivity or dealing with fallout from rebranding. As it turns out, not only do ecommerce marketers have problems similar to those of country-turned-pop stars, they should also be taking notes. What followed from Swift and her team was a flawlessly executed master class in retention marketing. The campaign and accompanying media blitz around her album cemented her fans’ brand loyalty through research, personalization and a killer loyalty-rewards program. 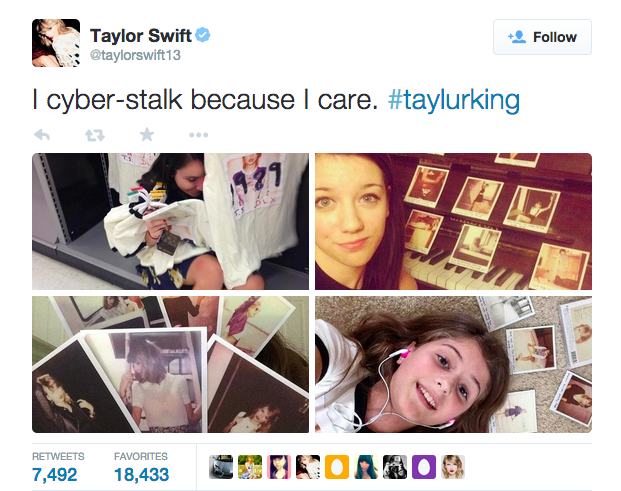 Consider the Taylor Swift tweet, reproduced below, that was a play on the word "lurking": Creepy as it sounds to us older folk, Swift pulled off social media sites photos of her fans shopping at Target and posing for photos of her new album. The fans apparently didn't mind the intrusion. Interestingly, ecommerce companies have the same built-in advantage of having access to customer data, which in turn provides marketers the information they need to truly understand customers and create personalized experiences. But first they have to use that data. According to a recent Harvard Business Review report, only about 11 percent currently do. In Taylor Swift’s case, there is no doubt that her management leverages available data to gain insights on her consumer base. That said, Swift’s above tweet shows that some old-fashioned (and strategically publicized) cyber-stalking also gets the job done. "Taylurking” was a smart move on multiple levels. For one, it was an interaction that surprised and delighted fans whose photos were included in the tweet. Second, it was a great way to showcase Swift’s interest in her fans. Finally, Taylurking allowed Swift to collect data on her audience through their social media accounts. When the winter holidays came around, Swift and her team put the data they’d gathered to another good use: They created personalized offers that catered to individual fans' needs and preferences. Though the concept should ring some clear bells, the tool used wasn't optimized email marketing. Instead, Swift’s team combed through select fans’ social media pages to figure out what each of them wanted for Christmas. These presents were then purchased and delivered, wrapped by hand and adorned with handwritten notes from the pop star herself. 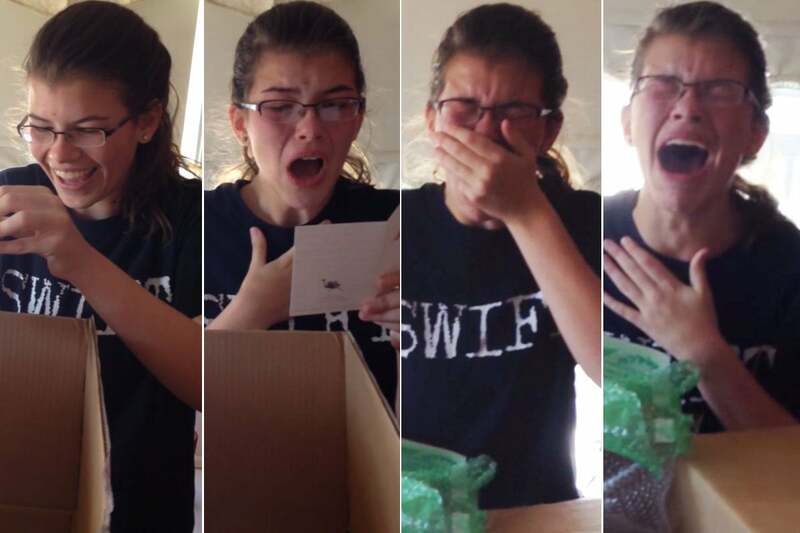 Swift unveiled “Swiftmas” via YouTube, and fan reactions flooded the Internet with tears -- literal ones (see above). Although obviously a smaller-scale effort than what corporations engage in, Swiftmas and its results proved to be a perfect example of why and how personalization works. The celebrity element helps, of course, but clearly a mass-produced gift of an autographed CD would not garner nearly the same reaction. These Secret Sessions turned out to be album-listening parties hosted by Swift herself, complete with home-baked cookies (baked by the pop star in a cutesy apron, natch). 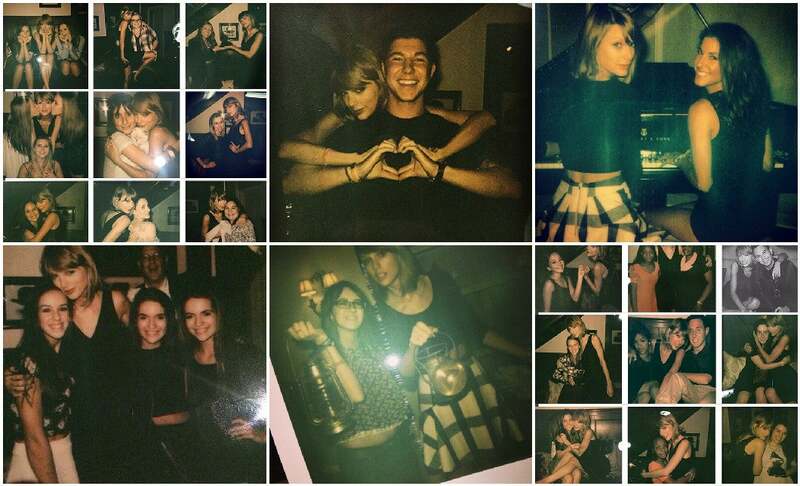 Fans spent the day with Swift in her own home, where the star interacted with each person and posed for dozens of selfies. This provided fans with the ultimate reward of “hanging out” with their idol, cementing their adoration of both her and the new album that had facilitated this miracle in one fell swoop. For Swift and her team, the key to retaining her fan base during the transition was an emphasis on Swift herself as the main brand, with her music as secondary. A highly personalized and personal approach to engaging with fans helped them feel as though they’d forged a personal bond with their idol. With brand loyalty so firmly established, Swift could probably have released a reggae album and still kept the majority of her fans. As it was, the campaign was hugely successful: 1989 went platinum almost instantly, with 1.287 million copies sold the first week. Despite the album's release date in late October 2014, it was the first album to go platinum that year. As of May 2015, the album has sold 7.5 million copies worldwide. Swift’s trajectory into pop superstardom has much to do with her catchy hooks, wholesome persona and model-like figure. Behind the candy-sweet shell, however, is a savvy businesswoman who understands her customers and understands that her existing fans are invaluable to her success. Through data-driven retention marketing, Swift successfully retained her fans even while reinventing her brand. Marketers, take note.